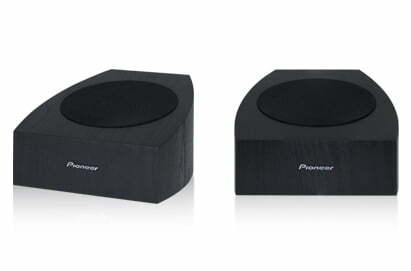 This Pioneer SP-T22A-LR Andrew Jones Designed Add-On Speakers Is Priced And Sold As A Pair. Andrew Jones created the SP-T22A-LR, a budget-priced add-on speaker for Dolby Atmos. The SP-T22A-LR builds on the success with the Dolby Atmos-enabled Elite Home Theater speakers, his unmatched experience in designing cost-effective audio products, and Dolby’s proprietary surround-sound technology. The SP-T22A-LR uses an upward-firing concentric driver array to reflect sound off the ceiling to produce a truly immersive sound experience while integrating with your already established home theater system.